Cross Armory’s STOCK LOCK is intended for AR­15 owners who want to go featureless but don’t want to buy a new stock. STOCK LOCK allows your adjustable buttstock to be immovably attached on the buffer tube. 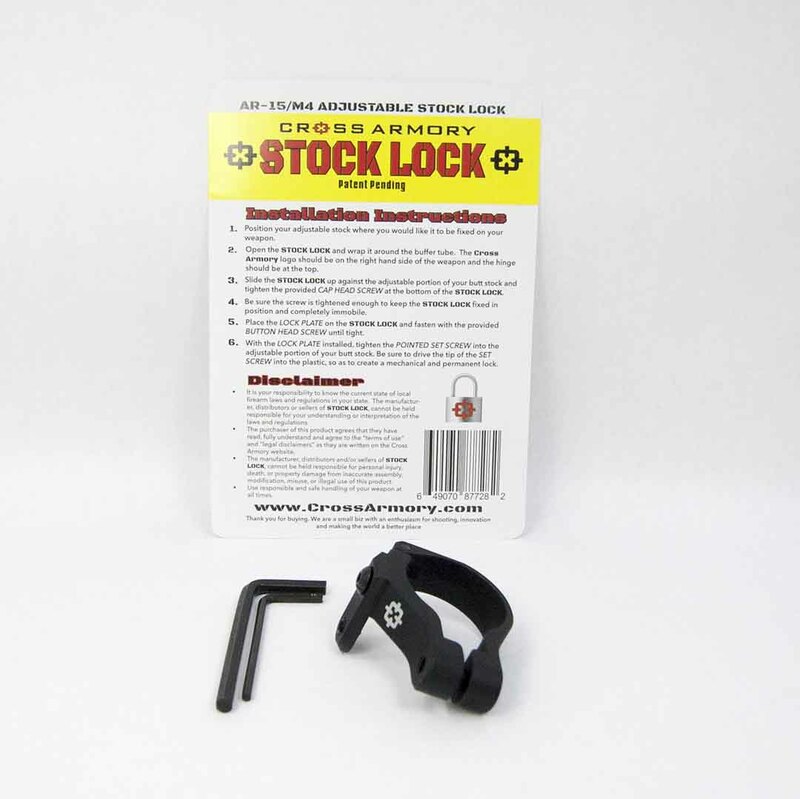 The Cross Armory STOCK LOCK is designed to comply with “fixed stock” requirements in California, New York and other states. With STOCK LOCK properly installed, the gun owner is unable to adjust the buttstock while in use. The buttstock can only be moved after STOCK LOCK has been uninstalled. The advantage of STOCK LOCK over other fixed stock solutions is that STOCK LOCK can be installed at any point on the buffer tube. 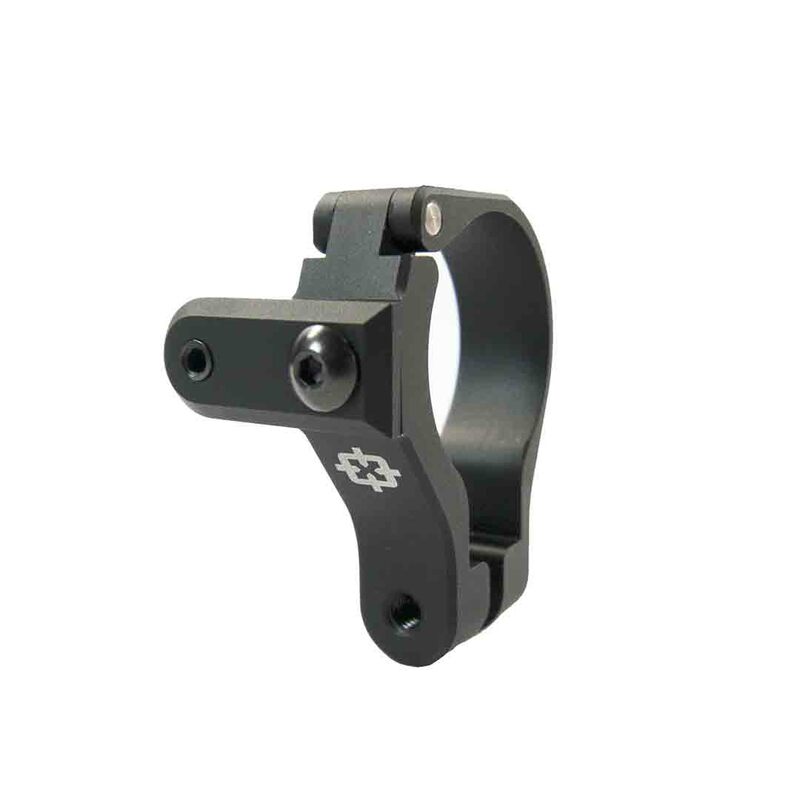 This allows the buttstock to be fixed in a position on the buttstock that is optimal for every gun owner. You will never have to “make do” with a stock length that isn’t perfect regardless of your reach or preference. 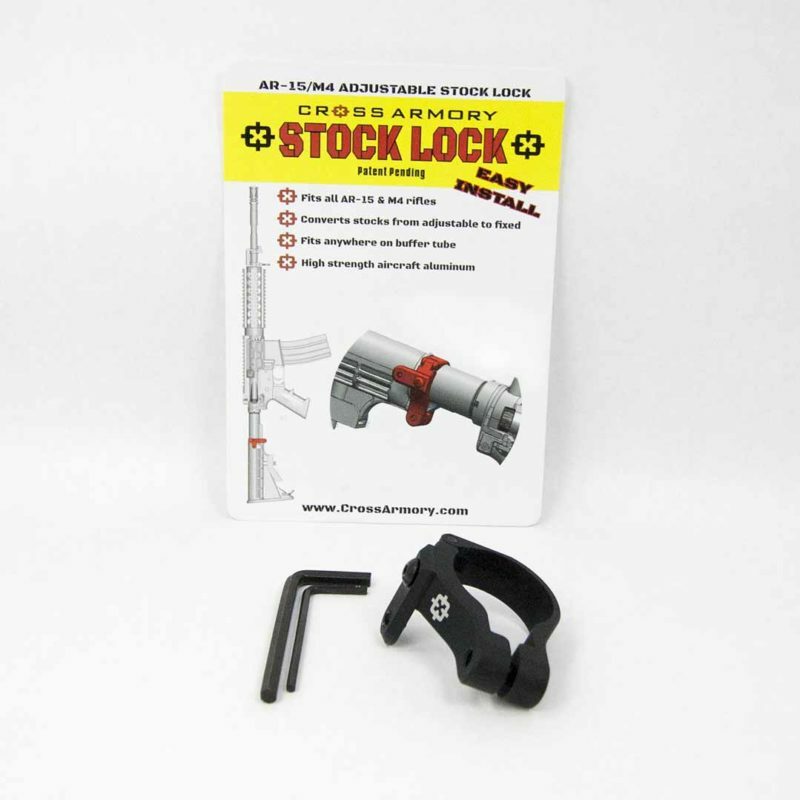 The STOCK LOCK is a simple and affordable solution that allows the gun owner to retain the value that has been invested in time and money setting up a gun tuned to individual preference, as well as not destroying value if that gun should ever be sold in a state without “fixed stock” requirements.